The youthful exuberance of an under-30 vocalist with a pure pedigree & pleasant vocals, blended with the excellence of an experienced 75+ ferociously talented percussionist who has seen it all - came together last evening. And sheer, classical Carnatic magic resulted in the extended Madras Music season in Karnataka Sangha in Nungambakkam - right from the Navaraga-Malike-varnam opener thru the penultimate Thillana & the eventual Mangalam.. If Sikkil Gurucharan has earned a rare reputation of being able to appeal to the puritan's cultivated patience (witnessed in Abhogi's alapanai), the youth's instinctive thirst for instant appeal ('Dikku Teriyadu Kattil' drew spontaneous applause among the younger lot) or those with spiritual leanings (amply catered to in the 'Shiva Chidabaram' niraval) - it is not without reason. Umayalpuram Sivaraman is a living legend - of course, a bit of a la-Zakir-Hussain (or maybe more a la-Ustad Allah Rakha) of the Mridangam world. It is said that there are fans, who attend concerts just to watch & enjoy his Taniyavartanam and then quitely walk away a few minutes after. 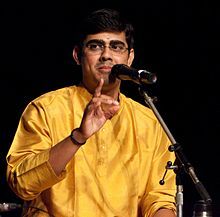 U Sivaraman's display last evening was an example of conserving audience interest, right thru the end even while conserving his own energy & creativity - serving quantum bursts of rhythmically melodious delight continually. Speaks volumes about the senior vidwan's regimen as he sat upright performing with fresh vigour, exhibiting neither staleness of ideas nor weariness in physique. All in all, the evening could not have been spent better. 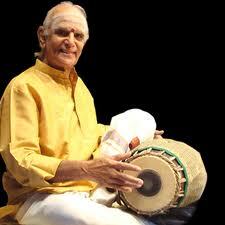 There is reason to hope yet, for Carnatic rasikas of the genuinely classical kind.